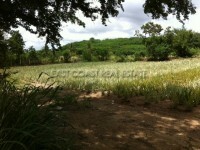 Nong Nooch land for sale. 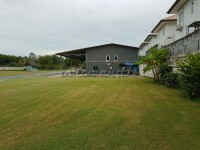 This 10 Rai + 83Wah² plot sits between Khao Chee Chan and Nong Nooch Gardens. Currently all of the roads are being improved and new access roads being created. Sold as one piece of land, it is owned in Thai Name ownership with all tax and transfer fees to be split 50/50 between both parties. Nearby are attractions such as Khao Chee Chan Mountain with the golden Buddha engraved into the rock, the serene Wat Yaan temples plus Silverlake Vineyards and a brand new Ramayana Water Park!! The land is on a slight hillside so it offers some good views of the surrounding area, plus it’s not going to be affected by flooding. Electric and water connections are nearby but not directly at the plot.